Call for Bout of Books 14 Experts! We will be closing this form on August 9th. If you're interested in helping us, make sure you get on our list before then! Want to help spread the Bout of Books love? We need YOUR help. This post is ONLY for people who want to host a challenge. 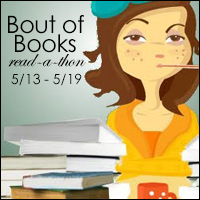 Please note: if you are chosen, you will be required to provide a direct link to your challenge post before the beginning of the read-a-thon. Challenge sign up will close July 26th at 11:59pm CST. Preference is given to international giveaways OR no giveaways. We're a worldwide read-a-thon. You must have a challenge idea at the time of filling out the form to be considered. If you don't have an idea, check out what some past participants said about what they'd like to see.